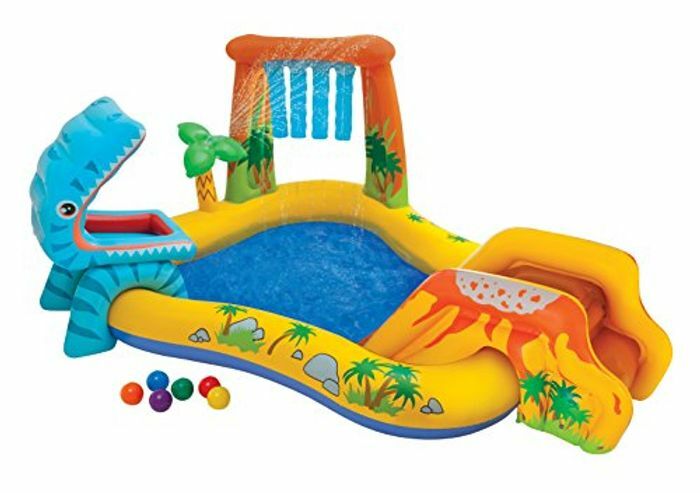 This play center is ideal for all dinosaur fans and kids who need a nice cool refreshment in summer. The little ones can slide over the volcano and feed the hungry dino with colourful balls (6 balls included). A garden hose can be connected into the palm tree to create a fountain and a waterfall.